People clean their keyboards, so why not their mice? 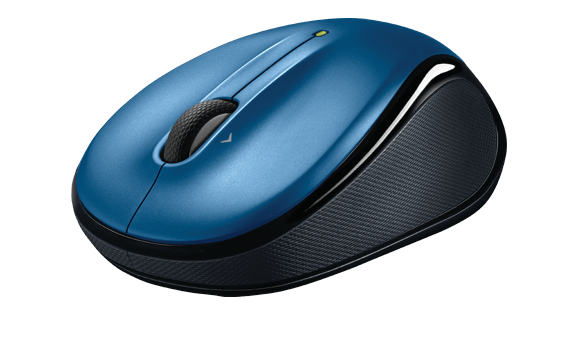 Whether you’re using an MX Master Wireless Mouse in your office, a Logitech Wireless Mouse M320 at home, or the Wireless Mouse M325 to surf the web, every mouse will need some tender loving care eventually. It only makes sense with how much time you’re holding it — or even letting others take control — that mice need regular maintenance. So let us show you in five easy steps how to properly clean your wireless mouse. Step 1: Completely turn of your mouse and if it has batteries, remove them. Step 2: Wet a piece of cloth, preferably microfiber, with some very mild dish detergent. If you want to have a completely sanitized mouse, use a disinfectant wipe. Wring out any excess moisture from the cloth or wipe and gently wipe your mouse all over while taking care not to get moisture into any openings. Step 3: Optical mice certainly don’t require as much cleaning as the older ball mice, but the lens will occasionally need some light maintenance. Use a slightly damp cotton swab to clean out any dirt that has accumulated around the eye. Take care not to press too hard or or rub too much to avoid damaging the lens. Step 4: Use a dry microfiber cloth to remove any remaining moisture on the mouse. Step 5: Small particles may become trapped underneath the mouse wheel. Simply turn your mouse upside down and roll the wheel to dislodge any foreign objects that are stuck inside. DON’T clean the mouse while it’s still on. Any moisture that might enter the mouse could ruin the circuitry. DON’T use rubbing alcohol. It could remove the color of your mouse over time. A mild dish detergent is more than enough to clean a mouse. DON’T take the mouse apart. Of course, maintaining a clean working surface and washing your hands can go a long way toward keeping your mouse clean. But when the need to wipe down your mouse arises, just remember the steps mentioned above to keep your mouse shiny and working properly.